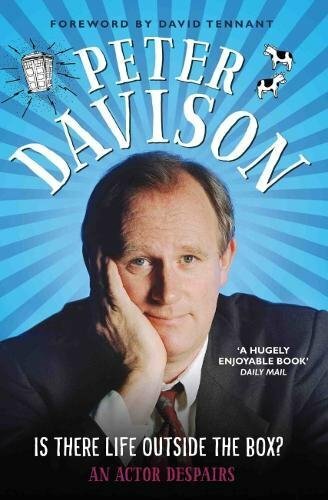 Note: Autobiography of Peter Davison. Originally announced for publication by Aurum Press in 2015 under the titles The Forgotten Doctor and The Fifth(ish) Doctor before changing publisher and title. His fans have spoken, but despite their requests, Peter Davison has gone ahead and written his autobiography anyway. It wasn't the book they tried to stop — it was more like the book they didn't want him to start. An aspiring singer-songwriter, once dubbed Woking's answer to Bob Dylan (by his mum, who once heard a Bob Dylan song), Peter actually penned a hit for Dave Clark but soon swapped a life on the pub circuit to tread the boards. From colonial roots — his dad was Guyanese and his mother was born in India — the family settled in Surrey where Peter's academic achievements were unspectacular — he even managed to fail CSE woodwork, eliciting a lament from his astonished teacher ('All you have to do is recognise wood!'). Despite this, Peter has secured his place in science fiction history, becoming the fifth Doctor Who, although he nearly turned down the role. The Time Lord connection continued with the marriage of his daughter Georgia to Dr Who number ten, David Tennant. He made his first stage appearance with an amateur dramatic company, but The Byfleet Players' loss was the West End's gain as he now has a number of musicals to his name, including Legally Blonde, Chicago and Spamalot. Most recently he starred in the box office record-breaking Gypsy where he rubbed shoulders backstage with Dames Meryl Streep, Maggie Smith and Judi Dench — all asking him for directions to Imelda Staunton's dressing room. 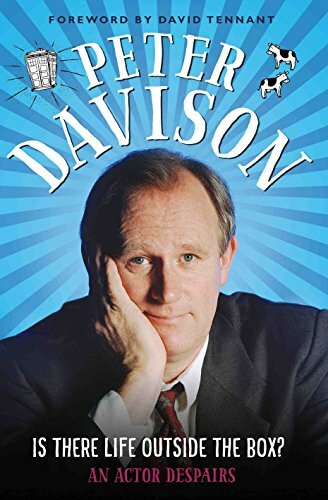 One thing is for sure: of all the British screen and stage actors of the last fifty years, Peter Davison is certainly one of them and, within these pages, intrepid readers will at last have the dubious honour of sharing in his life and times — as he despairs over whether there truly ever can be life outside the box. PETER DAVISON has worked regularly since graduating in 1972 from the Central School of Drama. As well as being the fifth Doctor Who, he has appeared in numerous shows, films and starred in a number of beloved television series. Peter is married to actress and writer, Elizabeth Morton and the success of their marriage can be gauged by their appearance on All Star Mr and Mrs. Not to mention the acquisition of two teenage sons, Louis and Joel.